WITH its existing large SUV about to disappear from the market, Ford is set to replace the outgoing Territory with a brand new model, based on the global Edge vehicle that now represents the company’s flagship offering overseas. Arriving in 2018, the new SUV will offer customers what Ford claims will be a world-class experience, with the as yet unnamed vehicle joining the recent arrival of the Everest, which Ford’s Australian designers and engineers had a key role developing. 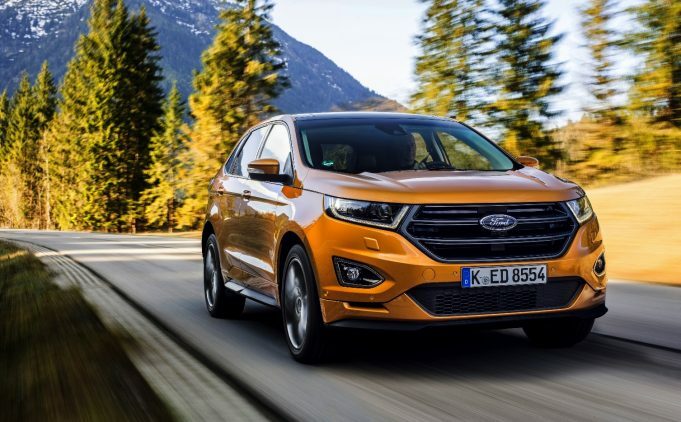 With an emphasis on technology, the new SUV (lets call it the Edge for now) is expected to offer consumers new levels of interior and exterior styling and features usually found on vehicles at higher price points. It will also reflect the high take-up rate of the flagship Titanium variants across Ford’s SUV range, and will offer greater passenger interior space than the current Ford Territory. The naming of the Edge in the Australian market will be confirmed with other product details and pricing closer to the Edge’s arrival in 2018.